Baylor>Alumni, Parents & Friends>Parents Network>Parent Resources>Baylor Family News>Baylor Family News Stories>What is Baylor's Black Gospel Music Restoration Project? What is Baylor's Black Gospel Music Restoration Project? Since 2008, a “search and rescue mission” has been underway in the Moody Library basement. A true labor of love, this mission has found its way into dusty tape and record collections, made friends with unsung heroes of the civil rights movement, been featured extensively in national media and even has a home in the Smithsonian in Washington, D.C.
Bob Darden, professor of Journalism, Public Relations and New Media, is a lifelong fan of black gospel music. He’s written three seminal books on the history and impact of the music, and in his research for those books, he developed a burden. “When you talk to participants in the civil rights marches,” Darden told The Washington Post, “what they want to talk about is the music.” But time was beginning to threaten the preservation of that music, so much of which was on old records and tapes. Records could warp, tapes could be thrown or stashed away and, without someone to care for it, much of the music would be lost forever. In a heartfelt New York Times essay in 2005, Darden pleaded: “It would be more than a cultural disaster to forever lose this music. It would be a sin.” Philanthropist Charles Royce agreed, and from their partnership came the Black Gospel Restoration Project. The way it works is simple: owners of black gospel music could send in their tapes and records, which would be preserved at Baylor in digital form, ensuring it would continue to live on. Its impact, however, has grown far beyond library basements and the Baylor campus it calls home. How can you enjoy the project? 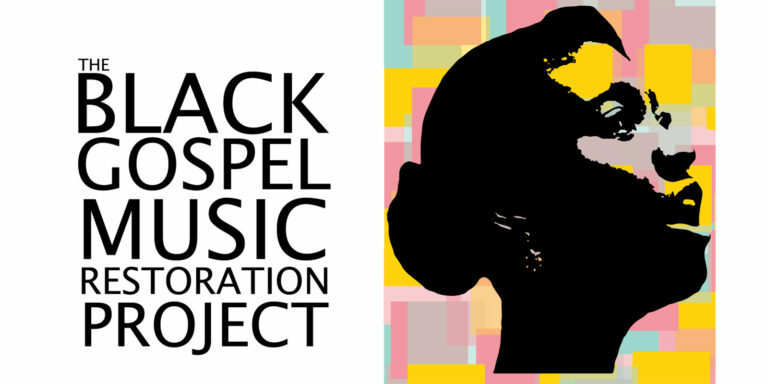 Classic black gospel tracks from the project are available in Baylor’s digital collections online, and Professor Darden has created a roadmap for those interested in exploring Black Gospel Music called the “Heaven 11”: the 11 most influential Black Gospel songs—in this Spotify playlist. This article is amended from a recent Baylor Proud post.